Many churches spend more on interest payments than on world missions. Debt ties the church’s hands. If attendance drops, the economy suffers, or giving dips, then pastors or missionaries must go unpaid. The building completed eight years ago, already needing repairs, keeps demanding those monthly payments, mostly going to interest. . . . When a church overextends itself financially, it inevitably spends time during services trying to persuade people to give to the building fund. This changes the focus from worshiping Christ, studying the Scriptures, and meeting the needs of the community to concerns about buildings, mortgages, and money. This entry was posted in Quotes and tagged Apologetics, Bible, Blog, Blogging, Book, Books, Christianity, church, Debt, Economics, Economy, Faith, Money, Mortgage, Quote, Quotes, Randy Alcorn, Religion, Theology. Bookmark the permalink. 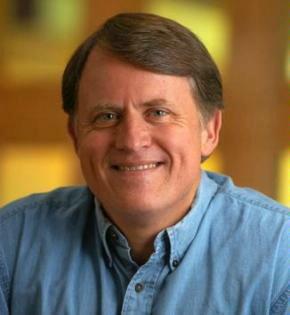 ← Sermon of the week: “Dangers of Calvinism – The Danger of Pride” by John Scheffer. Amen! Good to hear from brother Randy 🙂 The Bible tells us debt enslaves the borrower, but we deceive ourselves into thinking “this debt” is good and we get enslaved to many worldly things, reducing our ability to build up the kingdom of our Lord.